Assorted set of 5 laminated prints of original artworks. Originals were hand drawn & colored using artist pens. Size 2.25" x 7". Laminated and adorned with a beautiful beaded silk tassel measuring about 1.5". Tassel color and beads may vary. 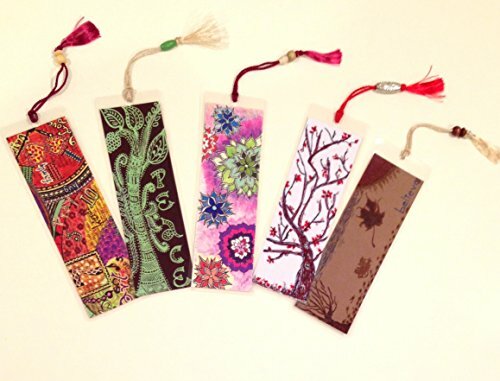 These make great little gifts - for yourself, a loved one or as favors for the whole party. If you have any questions about this product by KalaaWorks - Handmade By Kalaa Kreatika, contact us by completing and submitting the form below. If you are looking for a specif part number, please include it with your message.